This Thursday, 8/14/14, tune into the Brooks Falls Bear Cam at Noon PT/3 PM ET for a live chat with Charlie. He is excited and eager to connect with viewers on what you’d like to see more of on explore.org. 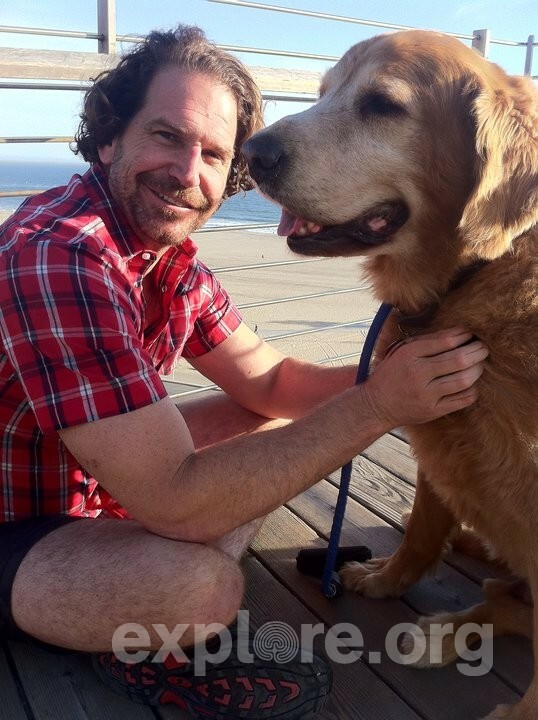 Charles Annenberg Weingarten is the founder of explore.org. He is a filmmaker, philanthropist, and storyteller dedicated to improving the quality of life in developing nations through emerging communication technologies, preserving the environment, improving education, and embracing spirituality to foster a common bond among global citizens. Submit your comments and questions on the day of the chat in the comment section of the Brooks Falls Bear Cam. Charlie wants to hear from you! I really hope I get to see this chat but I’m in Australia so get a bit confused with the time differences. Hopefully though it will also be posted for others who do miss out to watch later. I really love all the cams, even when they have problems, are up & down I’ll happily watch the re-runs. It’s just so amazing to be able to sit here at home & see places so far away & see all the beautiful wildlife as well as the people who help protect it. I’m world time zone challenged too. So I use the http://www.timeanddate.com website quite a bit. Highly recommended. Very handy if I want to watch the moon rise on the Beluga Sky Cam in Churchill, MB, Canada, for example. Thanks so much for that ValleyFlowers, I was thinking a countdown timer would be great but am technically challenged on those things myself. Yes 5am my time, will have to set the alarm so I don’t miss it. I’ve book marked your link as I’m sure it will come in handy in the future. hi @exploreorg, I am registered with explore and VERY much enjoy your cams, which are a life-changing wonder in so many ways. I am not getting explore’s email newsletters though — is there a separate way to sign up for those? Thank you! Hi csj! You can sign up for newsletters in your explore.org profile. Log in and edit your profile on the upper right hand corner of the page. wow valley, that’s an xlnt tip! must check out that site so I can catch cam events in Alaska, eastern canada, africa and so on! thank you! Pago Sareservation - Dicas e Informaï¿½ï¿½es!